When I saw it for the first time in action, I couldn’t believe how cool it looked and best part its built with the GoPro in mind. I have had it since it was first available for preorder and when I got it in April its been sitting in a box up until yesterday. This is probably the easiest Quadrocopter to fly in the market, with a lot of fail-safes on how it will react, but doesn’t make it dumb proof or wind proof. 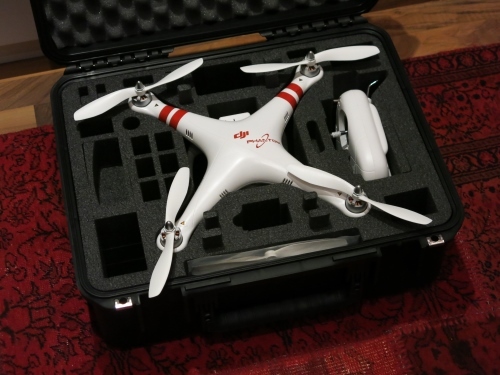 It’s a smart drone with all the settings this machine is capable of, I’m surprised it doesn’t have artificial intelligence at this stage and all of it in this very nicely design white case. I just decided to open it up and put it together, whether I crash it or not will be up to how careful I am flying it for the first time. 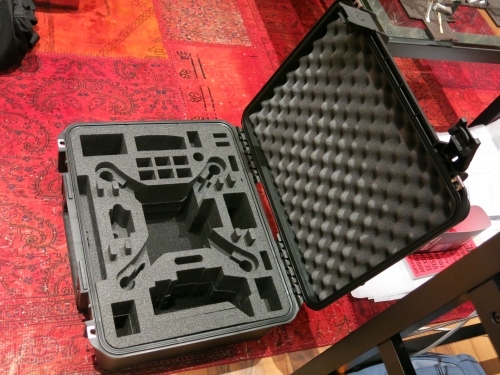 I also got this ridiculous ballistic case to pack everything in bag and take it with me where I need it. 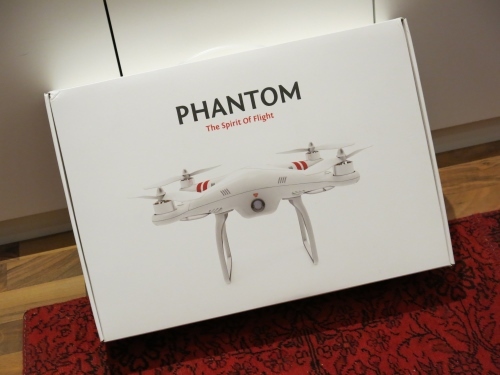 And the Phantom is packed snugly inside with a lot of batteries, as well as the Go Pro and spots for its batteries. I have seen some beautiful videos shot with the Phantom and thats what I’m planning to reach at least with this quadrocopter. I just hope I don’t crash it. 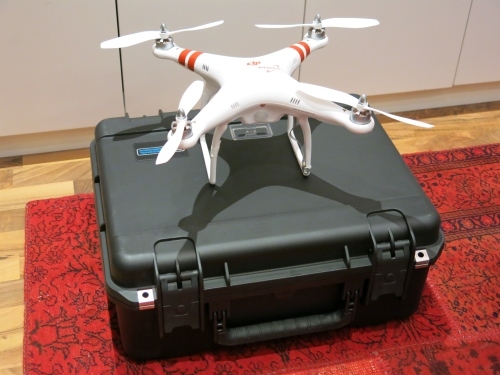 For all your DJI Phantom needs you can find it at Gulftronics, they even have the new Zenmuse Gimball for the GoPro Hero 3. I’m going to practice with mine before installing the Zenmuse, and that I’m really looking forward to. You just won’t believe this was done by amateurs, and I know it takes a lot of skill to control those cars like they did. It really does look as good as a blockbuster movie, and I loved that all the cop cars were corvettes. RC Helicopter just took it over the top, very cool. This is just ridiculous, I didn’t even think that an RC Car can go this was, Traxxas make some fun RC Cars but this one is above and beyond what they have come up with. This is RC Super Car is even faster then a Real-life supercar, and its expensive for a RC Car too price at $1’150 which is on the high side. 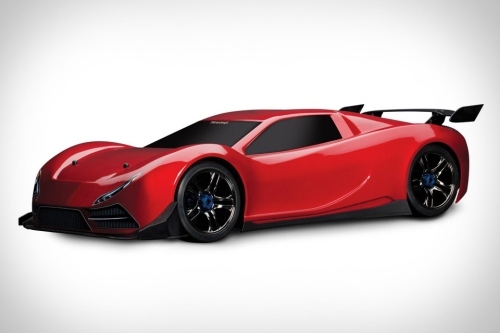 It’s capable of 100 mph speeds and boasts a 0-60 time of just 2.3 seconds, thats insane. The X0-1 features an aerodynamic body, a big block brushless motor, an integrated speed, RPM, temperature, and voltage telemetry system that works with an iPhone or iPod touch mounted in the controller’s docking base to give you unheard of control over your mini-ride, and heavy-duty AWD drivetrain so you don’t burn the thing up in the first weekend. From the looks of the video below you really do need a race track to drive this car, if it hits the wall at the speed its capable of say good bye to $1’150. I have been passing by Dubai Mall constantly over the past couple of trips to Dubai, and I have never seen this Hobby Center on the third floor. And I spell it “Center” because the other way is just wrong. The place is huge in comparison to a lot of Hobby Shops I have seen, MyToyCo in Kuwait is really nice but this is just something else. They have every kind of machine can imagine helicopters, trucks, buggies, sports cars, planes, speed boats, tanks, and even semi-trucks with trailers. That doesn’t even include the number of models they have laying around. You have a choice of gasoline or electric machines, there is even a plane which is bigger then me hanging on the wall and you can find items ranging from 100KD all the way to 6000KD or even more. They have a huge selection and professional staff, spare parts, and a ton of accessories. When I was inside I had a strong urge to buy a Speed Boat and RC Truck but I decided not to with what common sense I had left at the time. The kid in me was jumping for joy, I wanted to take one of those cars right out into the mall and start sliding around and drifting. There was one Tamiya truck which looked really cool but I decided not to get it since it was big and I didn’t have anywhere to put it, and I didn’t want to carry it with me since it would be a burden. But their selection is amazing, and if you have any interest then you should seriously go there, it was amazing and really got me thinking about getting a simple RC Truck. The speed boat was pretty cool but the guy said it had to be driven in ocean water since these little machines are basically like bullets on water and would be destroyed within seconds in a pool. I visited there twice in one day and I couldn’t get enough of it! R/C Helicopters are always fun, tried one recently but I seemed to crash into people and walls a lot. WowWee who are the makers of Robosapien have come up with the perfect helicopter for fun indoors. 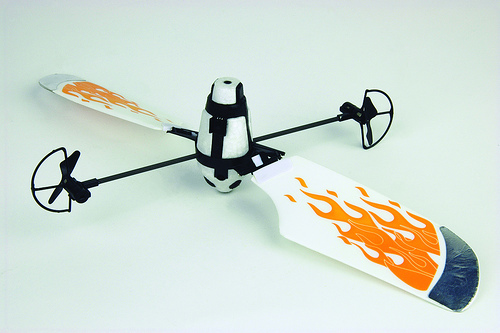 The Flytech Bladester has a 12 inch wingspan and sensors, once you get it up in the air it moves way from walls, ceilings, objects, and other things which might stop it from flying. It can stay hovering in its spot without any control from a person, if you get to close it hovers away based on its sensors. I would want to try this out sooner rather then later, it looks like it would be a lot of fun.